Welcome to Our New/Improved Website! 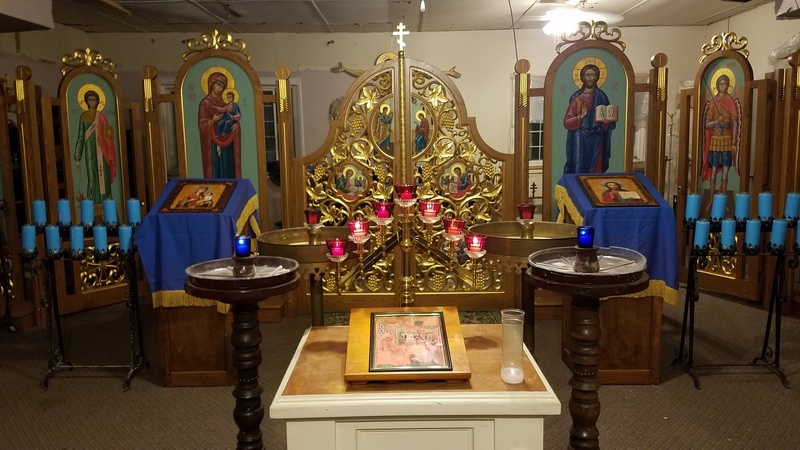 Welcome to AllSaintsOrthodoxChurch.org - A detailed website to support our Commitment to Traditional Orthodox Christianity in the area between Detroit and Toledo - an Community we affectionately call Downriver, and We Welcome Everyone from Southeast Michigan and Northwest Ohio. 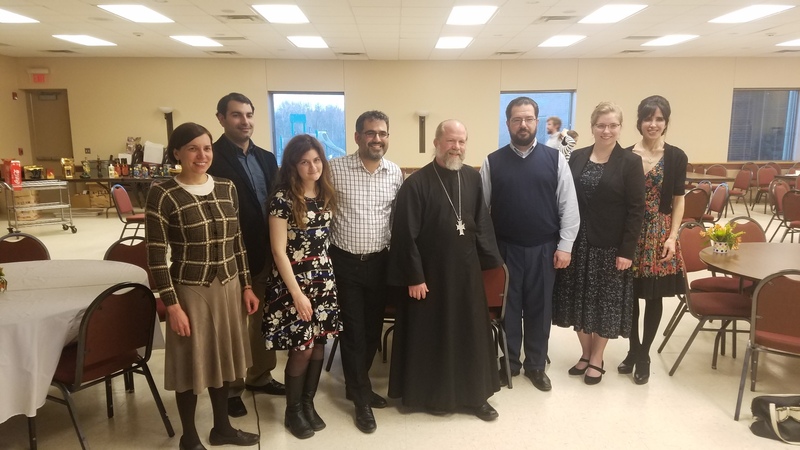 Originally, we were blessed with the name, All Saints Orthodox Church and given many responsibilities, including helping other parishes and provide support to our neighbors and groups in need. After several years helping others, Our Bishop decided that it is time for us to plant our own roots. At that time, he honored us with our new identity - our new name, Christ the Savior Orthodox Mission Church Parish! All Saints remains in our Identity - Our Ministry. We continue our work helping our Family, Friends, Neighbors, Churches and Groups. With entities as the St. Hedwig Florist, All Saints Orthodox Gift Shoppe, and several new adventures developing on the near horizon for 2019, we hope to continue our footprint and want to be positive in everyone's life, including Yours!!! Exciting times are coming our Way! 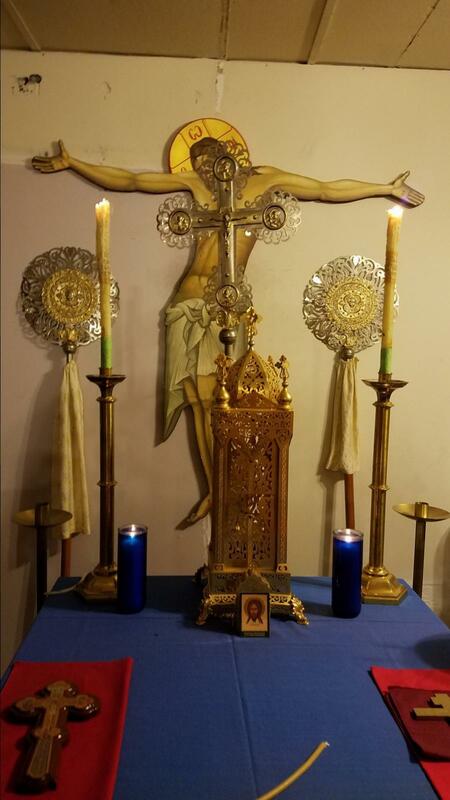 We have a nice small community who still feels that there is an excellent opportunity for growth in the teachings of Our Faith, and wants to spread the love and compassion of God's Will through prayer and celebration. In fact, it's in our Mission Statement! 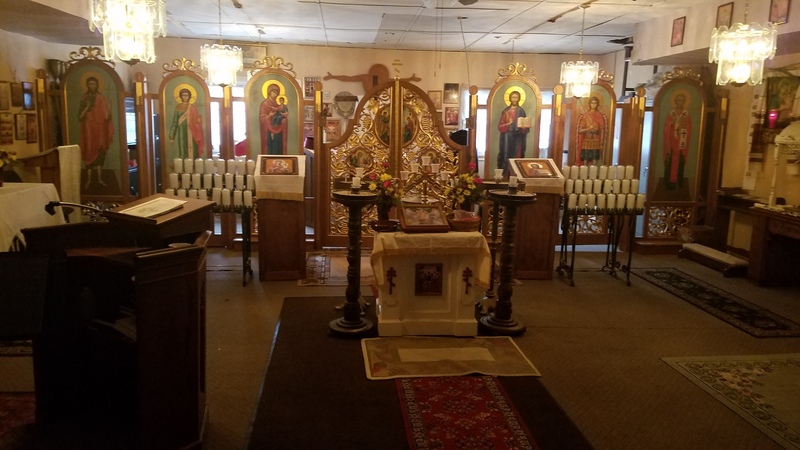 Our criteria isn't based on where you live or whether you are Russian, Ukrainian, Greek, Serbian, Mexican, Arabic or even Cherokee Indian - We want everyone to come and celebrate the True Word of our Holy Orthodox Christianity. We are the TRUE TRADITIONAL CHURCH! Although many of may have never heard of us (especially without an ethnicity attached), we have been around since Jesus Christ Himself, and can show our ties without Ancestry.com (although that would be interesting to see). A Brief History Lesson: We actually know that the Christian Church had 5 Patriarchates (on of which was in Rome). The schism that happened by 1054 was a gradually splitting apart that ended with Rome breaking away from the others (in an edict delivered to the Patriarch in Constantinople). We are historically the True and Original (Orthodox) Christian Church! Please come and check us out. We really have something special and are very excited to talk about it: In English, Russian, Ukrainian, Greek, Serbian, Mexican, Arabic or even Cherokee Indian! We are ready for a full schedule of Divine Services! We invite everyone to join us every Sunday and Holy Days. 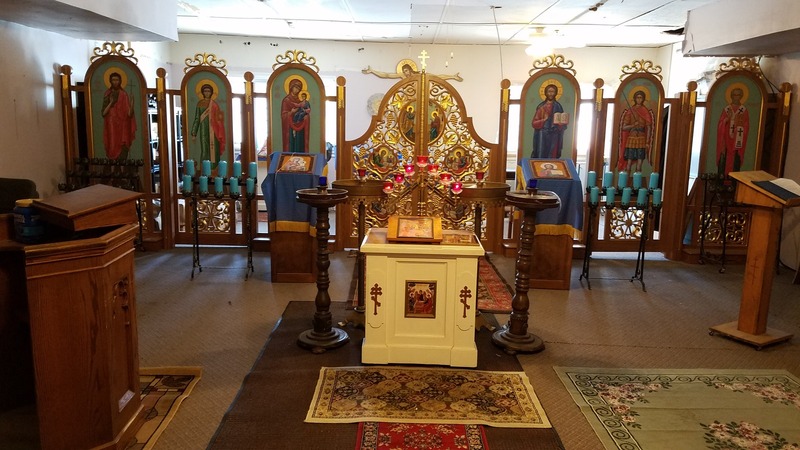 Divine Liturgies will be at 10:30 a.m. and now we can schedule them to let you know well in advance of any changes so you can prepare yourself prayerfully to partake of the Holy Mysteries! More good news: Archbishop Peter has changed the name of our Mission to “Christ the Savior”. Our new feast day will be on August 16/29. This was done in order to facilitate the surrounding community understanding exactly who and what we are from their first introduction to us. The average American might not understand what “All Saints” is, but they understand completely who Christ the Savior is. More good news: Archbishop Peter has blessed us with a candidate for our open Rector position. That is, Vladyka is blessing us with a permanent priest for the Mission. We are moving forward! Join us as we grow! Invite friends –This is the BEST way to bring new people to the Mission and to Christ: Simply invite them to join you for the Divine Services. A lot is happening – we are building much momentum with God’s blessing. Please pray that the Lord will bring the light of Christ to more and more people Downriver! It is with a truly heavy heart that I must share the news that one of our Dearest Friend (and Founding Member of our Mission Parish), SVETLANA MITROFANOVA has passed away after a courageous battle with cancer. She was a Truly Accompllished Professional, with a lot of love for God, her family, friends and everyone she touched with her heart. She always thought of others first and had such a contagious laugh. She will truly be missed by her family and friends from all over the world! She leaves behind her loving husband Boris, son Sergei (Victoria), daughter Tanya Boyar (Michael), 4 grandchildren (Timothy, Vsevalod, Alexandra, Daniel) and so much extended family throughout America and Europe. Please refer to this area for everything upcoming in our Mission Parish. Now is the time to arrange a visit and get Your Home Blessed! Here is your perfect opportunity to have a Priest to come visit and Bless Your Home. A Wonderful Chance to meet him and find out why we are so excited to have him. And we are available for Blessing Gravesites, as well. We can make appointments as needed. After some intense bargaining with an awesome buiding owner and some really great meetings sharing project ideas with the City Administration, we have decided to pursue a nice 2 story building with almost 3000 square feet of open space right in the downtown area of River Rouge. This will present some really great opportunities for our small mission parish to grow, while bringing some business and training opportunities to the area through our ministries. Head over to our "PHOTOS - Our New Home" link and read more about it and enjoy some of the pictures of the challenges that face us there. It truly is a Wonderful Opportunity! Meanwhile, below is some photos of the completed work (to date) in our Chapel. 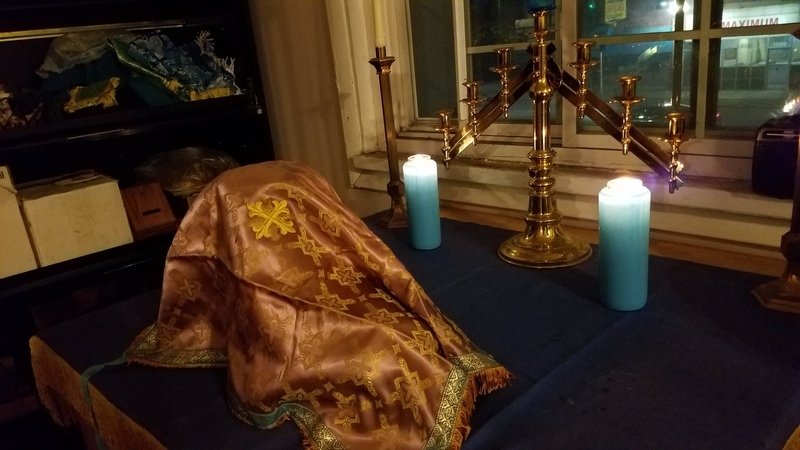 We are honored and privileged to be able to offer Orthodox Christians the opportunity to pray before the actual flame brought to us from the Church of the Holy Sepelchre in Jerusalem! 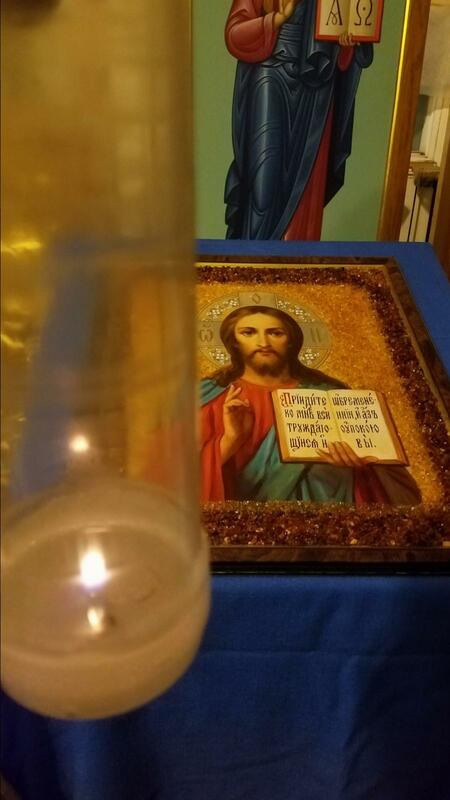 This special flame was brought to Canada by Greek Orthodox clergy and given to Sonia Boyar many years ago by Fr. Constantine Katsilas; and she has been generous to share it many Faithful Family and Friends in the Detroit Area, including our mission parish. Please feel free to come by anytime and pray or light a candle at our church or take one home. Click on the link below to get the entire article. Your Donations Really Help and are Tax Deductible! Your Donations Could Really Help and are Tax Deductible! All Saints Orthodox Mission Church are deductible to the greatest extent allowable by law. And You Can Simply Use This New Tab Below, too. A Special Thank you to these Generous People With Their Gifts to Our Mission! On Wednesday, February 19, 2014 evening, one of our founders, SubDeacon Peter Boyar suffered a massive stroke, had gone through several major surgeries at Oakwood Hospital in Dearborn and remained in the Critical Care unit of the ICU until he reposed on April 2, 2014, calmly and quietly while his family was present. 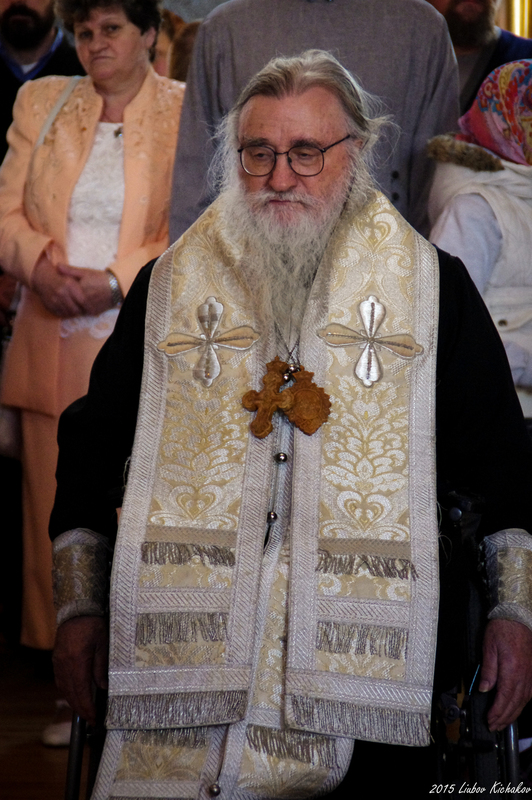 As Sub Deacon Peter was an advocate and inspiration to all Orthodox Christians with his hard work and dedication to our Faith, and in his vision for the future of Orthodoxy for his family and friends, and as an original Founding Member of the All Saints Orthodox Mission Parish, our family would like to ask that in lieu of cards, flowers or gifts, that you would instead contribute to the newly formed Sub-Deacon Peter Boyar Memorial Building Fund to help fulfill his shared dream dedicated to the Glory of God and to the future of our Holy Orthodox life. Please mail to All Saints Orthodox Church 30111 Marr Street Gibraltar, MI 48173. Include your Contact Information for proper acknowledgement and Tax Deductible information. Please refer to this area for published pieces about our Mission Parish. Thanks to Tiffany Morton-Slis, We have our own new Facebook Page. Please read and help us Pray for these ministries and happenings of our Mission Parish. (If you have any questions, please email or call anytime.). Our Flower and Gift Shop is Now Open! 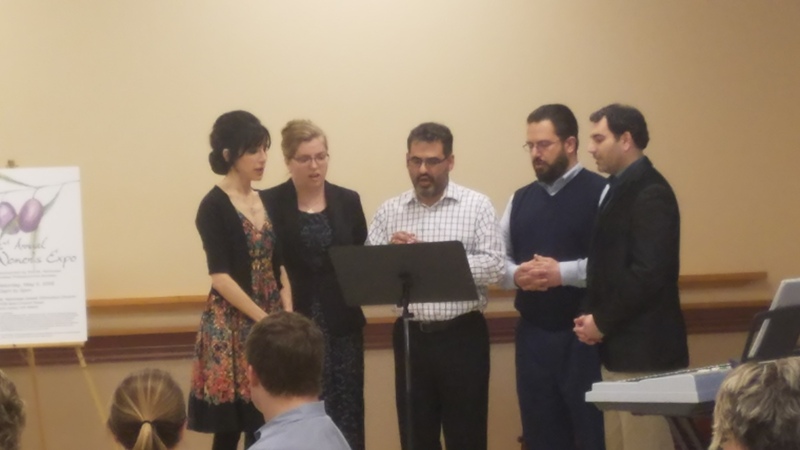 Welcome to the newest Ministry in our All Saints Orthodox Mission Parish Family! 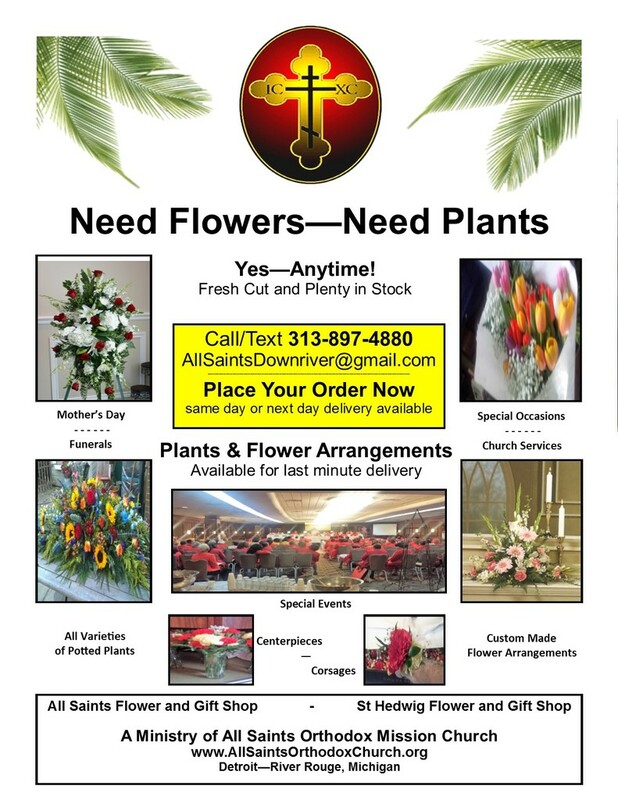 Glory of God and with a Special Thank you for the generosity of the Turza Family, we are proud to announce that Archbishop PETER has given His Blessing for us to receive their donation of all Business and Assets of the St. Hedwig Flower and Gift Shop of Detroit, Michigan (effective February 29, 2016). 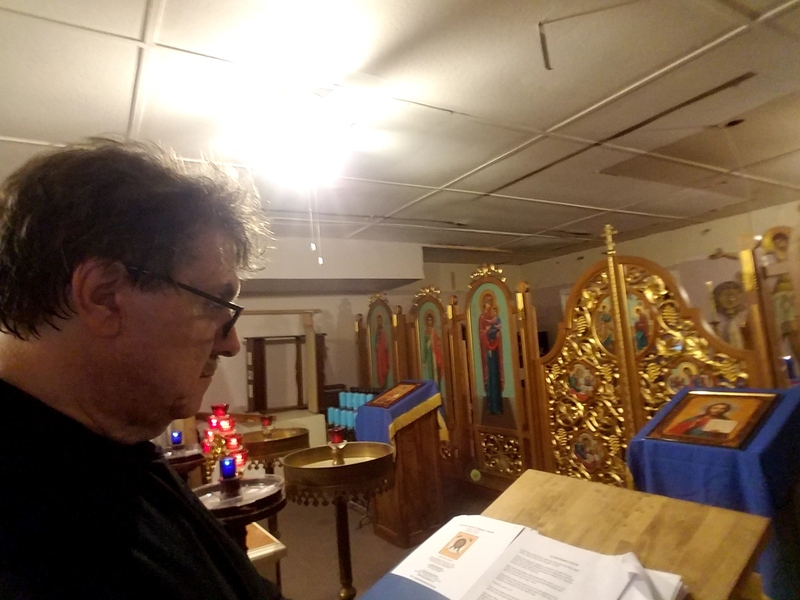 We have been working diligently on creating a fair and exciting business plan for the benefit of ALL as we solicit business to raise the necessary funding for Our Community and Neighborhood Programs and to promote Eastern Orthodox Christianity in our region into a special Action Plan. Please think of us for your floral and gifting needs for all occations. It is our hope to provide the best products and services available to our Customers, but also it is important for us to be a real Resource to all those who may need us. Please go back to the TOP of this page and find the link to the St. Hedwig Flower & Gift Shop, and click it to find our latest specials and for something you may like for you, too. Michigan needs an Orthodox Christian K-12 School! And with God's help we aim to found this school and begin classes in the Fall of 2019, and has the full endorsement of Archbishop PETER. 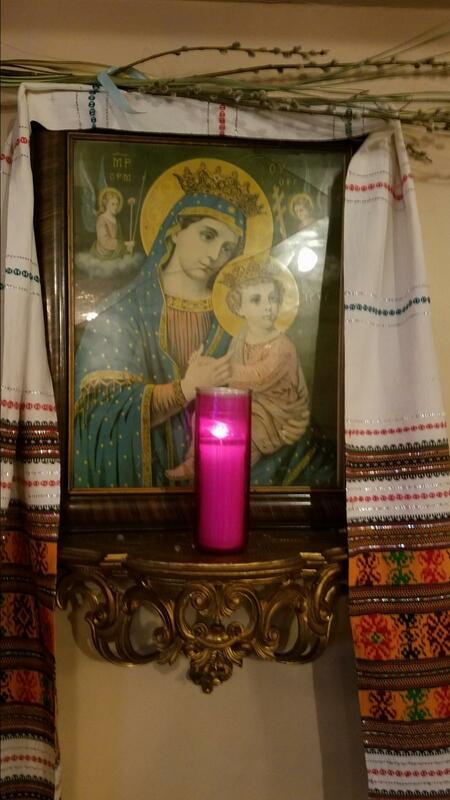 This is a wonderful idea that needs our support, and we at Christ the Savior Orthodox Church want to do our best to help, as well! 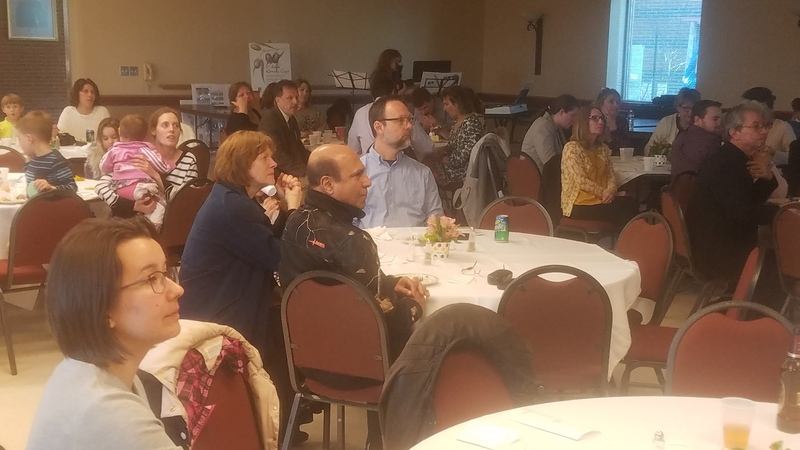 It was a wonderful crowd from several churches represented from all over the state (including our mission) at St. Nicholas Greek Orthodox Church on April 22! More information and an opportunity to donate will be coming up here shortly, but this day's event was a HUGE SUCCESS, and we were proud to be a part of it. Enjoy the photos, and please pray about how you could help make this a real Dream-Come-True!!! Please read and help us Pray for these interests of our Mission Parish. His Grace Bishop Athanasius of Kisumu and Western Kenya of the Patriarchate of Alexandria. Please double your prayers for His Grace Bishop Athanasius of Kisumu and Western Kenya of the Patriarchate of Alexandria. He was very ill in ICU at St Vincent hospital in Worcester Massachusetts USA. Several weeks ago he celebrated the liturgy at Saint Spyridon Cathedral and became very ill, and has been in the hospital since. He has since passed away. Donations are welcome via PayPal to assist the Diocese in paying for his care; however, your prayers are most important. 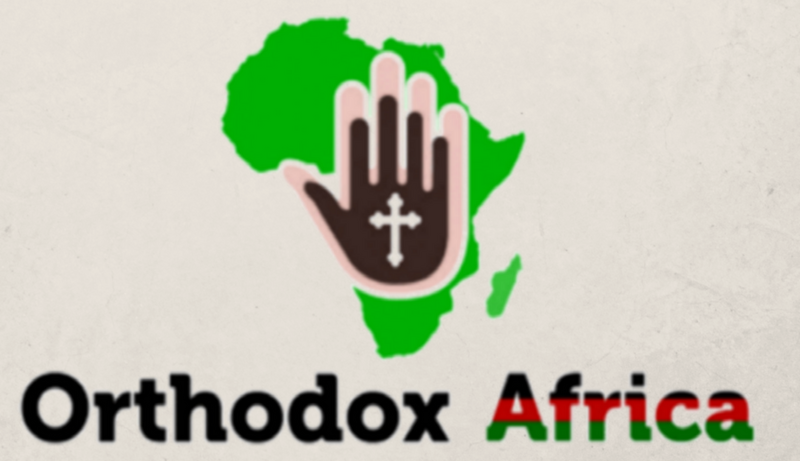 Updates are being provided on Orthodox Africa's Facebook page found here. Please refer to this area to learn an Orthodox Lesson for Life! Friday, January 11, 2018, from 6:00 PM to 9:00 PM. In coordination with the downtown Flint ARTWALK. Art collectors, artists, art teachers, and art lovers are welcomed. 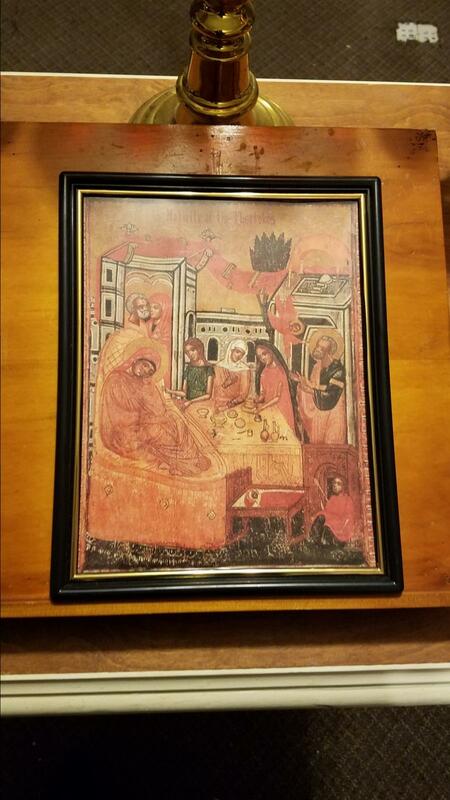 The Holy Mother Virgin Mary of the New World was painted after Her Apparition on November 23, 24, and 25. Please help us acknowledge and appreciate their kindness toward our Mission Parish. Please refer to this area for the Housekeeping Issues in our Mission Parish. 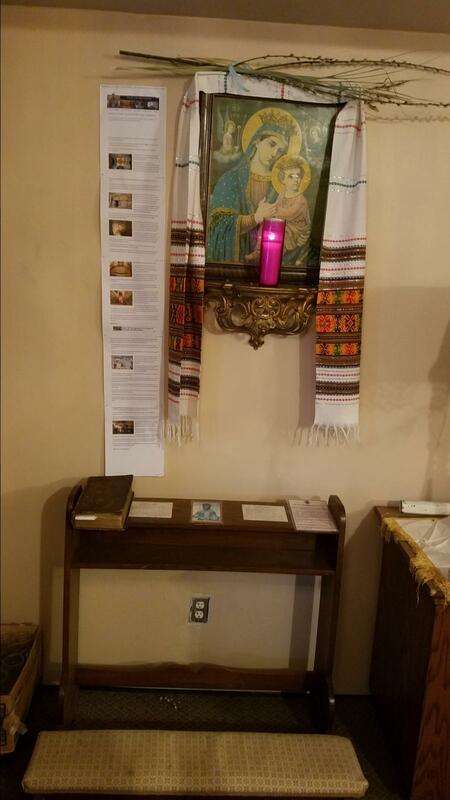 Now that we have Our Blessing, a new Website, and are Creating a True Membership List, we want to get our word out, specifically reaching out and evangelizing our neighborhoods and communities, as well as to our Orthodox "lost sheep"
Experience has proven that our E-Newsletter campaign has been a tremendous success in getting attention and that there is still a need for a Snail-Mail Program, along with utilizing the several media avenues to help us to continue growing quickly. Remember though: That our best advertising is "By Word of Mouth" and we would like to let you know that we want you to come as often as you can, and bring your friends. Please sign yourself and family members and friends up for our FREE Newsletters and pick up our Bulletins. Stop by the table at our events, call or email us with the details and we will get them started right away. As a mission parish family, we decided that we want people to come and celebrate with us first - to realize that their fortunes and challenges are part of their relationship with God, and we want to support each other. We also want to be sure that money should not be a priority when coming here, so with that in mind, we decided NOT have collections during our services. Instead, we graciously accept donations of support by providing a box near the rear of the church for people to give of their free will. It is very important to note that even in the Bible, tithing was encouraged and everyone was asked to give a portion of their wealth, but they didn't pass a basket. It is all left to the individual people. We still have a mortgage payment, utilities and insurance, and of course, the best part is being able to help support a priest and his family. We should see it as our responsibility to take care of them, especially since we know that they help take care of us, too! We have provided forms and envelopes in the back of the building and in our bulletins, so that if you want to dedicate your donations or be acknowledged (and for tax purposes), just fill out the form, put everything together and drop it in and/or mail it to our office. Your generosity is always appreciated and can be recognized in future publications with a special "Thank you" for your support. Since we all need to occasionally refresh ourselves spiritually, we thought that this might be a nice way to segway into a new-style Orthodox Christian Education Program. We are working on a different kind of an idea for a Church School Program for KIDS and ADULTS. We are currently organizing our new Children's Church School Program to start in September, and since there is no registration, all children are welcome anytime for this program. Our younger ones will have a program that is being created to make it exciting and entertaining. They will have many opportunities to learn, build, and/or sing each week. 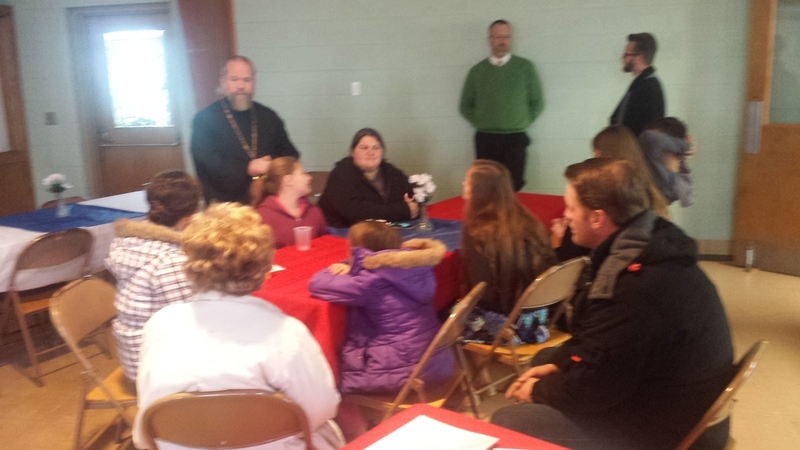 They will also participate in Arts and Crafts, Music, Iconography, and Q&A sessions with the priest. We will look into the values of our Lessons and work at what we all should be doing to help celebrate and promote our Faith. This would include: Music, Reading/Chanting, Serving in the Altar, Celebrating, and how to bring this stuff home to continue living our lives. There is nothing that should be overwelming. We just need a way to be able to continue learning and living our lives in Christ until we can get back to church. We will be using different forums to do this, including Questions/Answers for our adults after church, Visiting Speakers, and Field Trips. This type of informal setting has proven to be very valuable, and is peaking the interest of our people. With so much interest in adults wanting to learn (and become) Orthodox, and some of our men also expressing sincere interest wanting to become Tonsured Readers, we will all learn together. Sometimes, the best experiences maybe not even necessarily church related events like: bowling, a barbecue, theater or museum. We will be doing this stuff, as well. What a great way to learn - Please watch for announcements. We are proud that our Liturgies and Services are celebrated IN ENGLISH, and eventually we may sprinkle them with various languages to celebrate our various cultures. 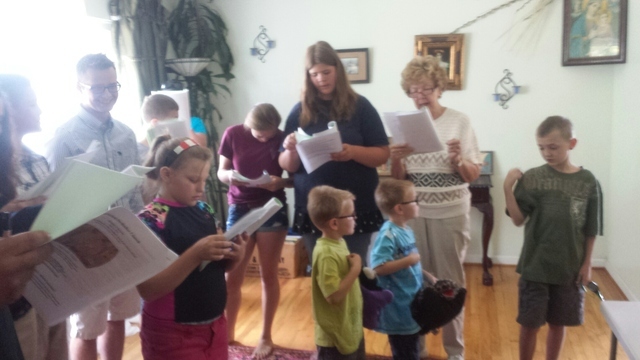 We also will be very active with everyone trying to participate with congregational singing (especially with the kids). Any plans that we have will still have a need for us to organize a choir. Please consider joining us, and encourage your family and friends. We are in need of people with or without musical experience. As we structure, we may also try to organize a Junion Choir. This is all exciting, but there are no rehearsals planned yet. Maybe we should seriously look for a choir director to manage our many voices. Any volunteers? 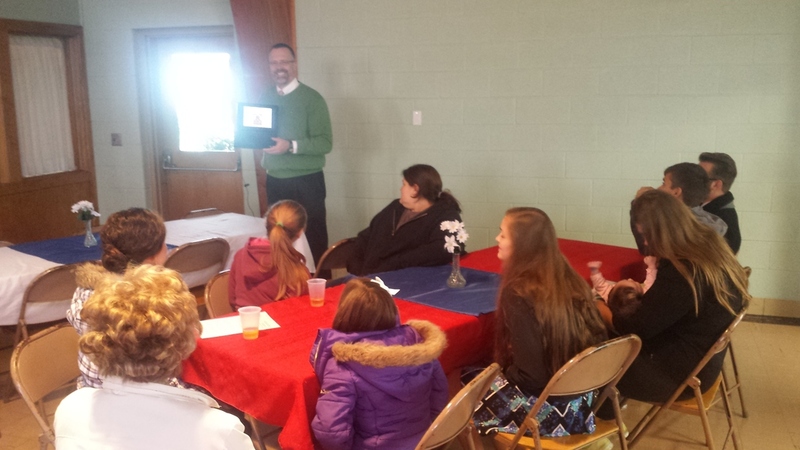 he various programs throughout the Diocese illustrate the support we have and as such, programs are being developed. They have not only participated in religious forums (IE: Retreats, Bible Studies and Organized activities like the 30 mile Procession of the Cross), but have had fun bonding lifetime friendships across the country and beyond. We have a great group of Teens in our Mission Parish. Now all we have to do is organizing our new Church Teen/Youth Group. Since there is no registration, all Teens are welcome anytime for this program. There will be a lot of local things for them to do, as well; and we certainly could use their responsibility in the church. Please encourage yours to join us. NOTE: We are always looking for good leaders to help teach and mentor them. Please consider us. Please let us know about anyone you know would like to be visited (including yourself), and we will contact you to make all of the arrangements. We would like to find and visit our SHUT-INS, whether you are in a hospital, nursing center or just at home, we would like to visit you, and with the onset of our newly organized Orthodox Adult Day Care, please let us know what we can do for you. We still have blessed water, and are able to Bless Homes and Graves by appointment. Now is the time to get it done for you, too. Please make sure you are on our list. Again, please let us know if you, or someone you know, would like to be visited, and we will contact you to make it happen. Let us know what we can do for you. Please refer to this area for Great Ideas, Groups and Businesses that supportr our Mission Parish. 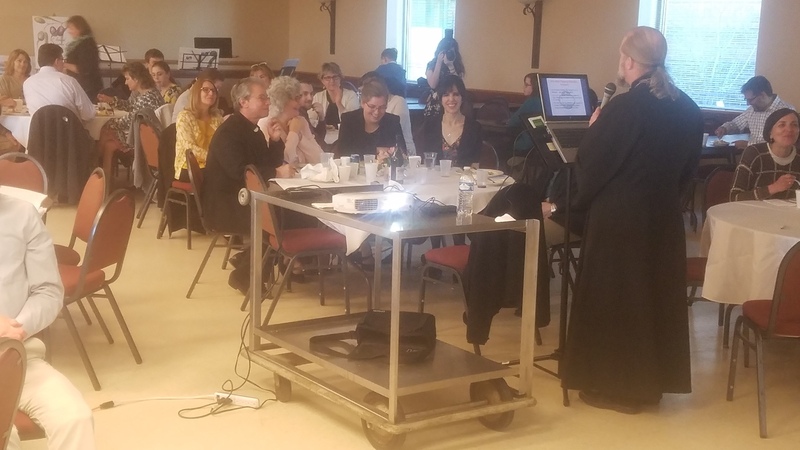 Sporting a Brand New Beautiful Design, the Diocese of Chicago and Mid-America has brought our information to the forefront and made it all Very Interesting, Quite Resourceful and Super User Friendly for Everytone! Click on the Link below and take a look around. 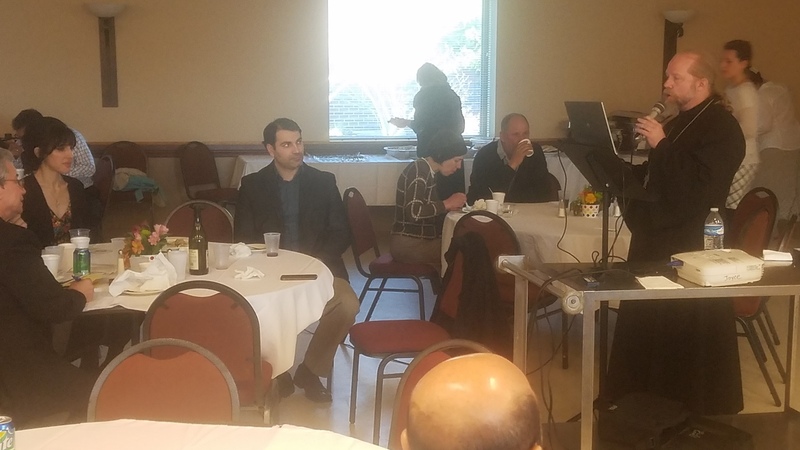 The Michigan Deanery St. John Kochurov Society met on November 13, 2015 at St. Vladimir with a small reception (Lenten hors d'oeuvres). It was well attended and Fr. Gregory and Karl Meyer spent some quality time presenting and answering questions. 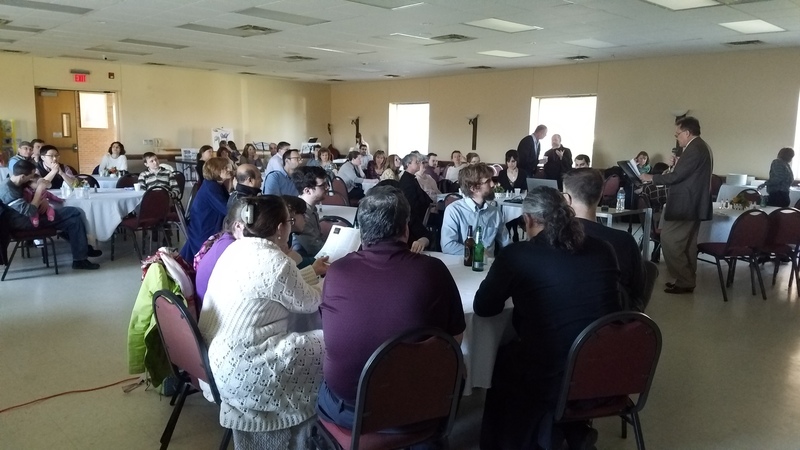 For a nominal commitment, they pointed out just how important this program was to our entire diocese by how they have already helped in the past and some of the target areas we are working for in the near and far future. Karl has also agreed to visit the other parishes in our deanery (including us), and present it again. All Saints has made a commitment to this important project. 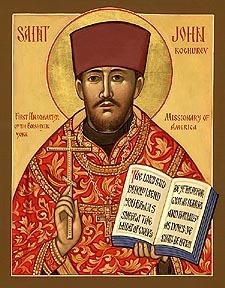 St. John was the first priestly martyr of the Russian Revolution, but before that he had served for 10+ years in our diocese. And thus Bishop Peter blessed for St. John to be the patron of our diocesan fund for those in need of assistance. This fund focuses especially on Monasteries, Missions (and Mission Clergy), and Youth. You can learn more about the St. John Kochurov Society (below) and how we can support this important ministry! To learn more about St. John please visit the links below. Join the St. John Kochurov Society! We are the youngest diocese in North America and we still have a lot of work to do in these areas! Your gift – large or small – to the St. John Kochurov Society will help – A LOT! 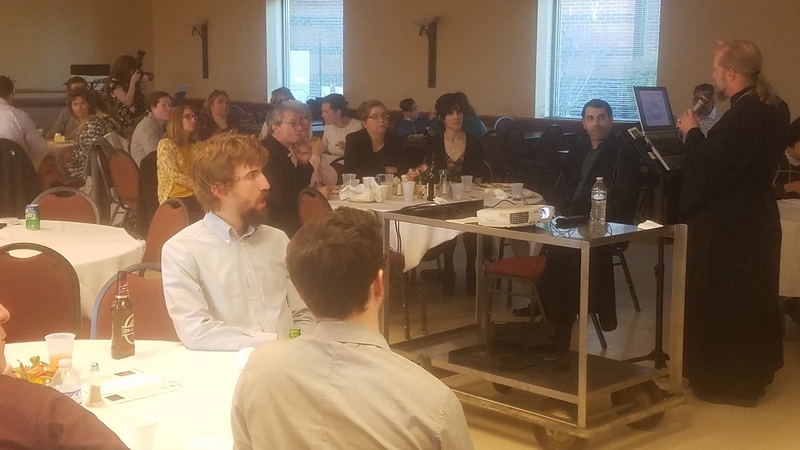 Our Michigan Deanery has traditionally had the most members in the St. John society and we would like to see that continue. How can you help? See the links below and take action today! Listen in each week on 690 AM. If you miss the broadcast you can hear it at anytime by going to www.doorradio.org and selecting DOOR Podcast Archives. You can then listen to or download or share any of our broadcasts. 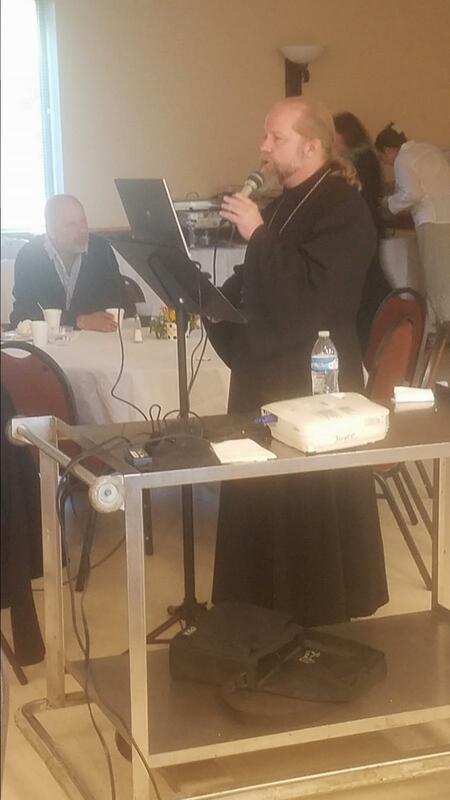 DETROIT, MI [COCC] -- The Council of Orthodox Christian Churches of Metropolitan Detroit (COCC) has announced the launch of its latest media ministry effort – Detroit’s Own Orthodox Radio (DOOR) – on May 31, 2015, Pentecost Sunday. Its purpose is to promote Orthodox Christianity, connect local parishes, educate and entertain listeners. IN DETROIT, 59% of children live in poverty. The highest rate of the 50 largest cities in the U.S. Some of the effects of poverty on children are poor academic achievement, under resourced schools, food insecurity, poor nutrition, substandard housing and lack of access to basic needs. By 4th grade minority children on avg. are already 3 years behind and have a greater chance of dropping out in H.S. and becoming the next generation of dependent families in poverty. By no fault of their own they are brought into this world with a great deal of challenges. We believe they can succeed in school and reach their potential with support. This must happen before they enter Secondary School. FOCUS Motor City exists to empower them to have the skills and proficiency so that they can succeed, access opportunities and live future sustainable lives. We partner with Detroit Elementary schools, families and organizations to ensure K-5 students achieve their academic grade level in all subjects before entering Secondary school. 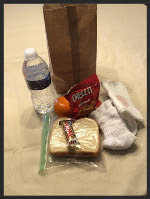 We do this through addressing education needs (such as reading, tutoring, textbooks, school supplies), food insecurity (weekend food sacks, emergency pantry) and resource needs (emergency clothing, hygiene, and household items). Congratulations to Eric Shanburn and FOCUS DETROIT!!! In a contest that literally wasn't decided until the last minute, FOCUS Detroit won the $20,000 prize in The Detroit News Holiday Cheer for Charity competition Friday. Now the nonprofit can double the size of its staff, said founder and director Eric Shanburn — which would mean adding one person. Or maybe it'll splurge and add two. 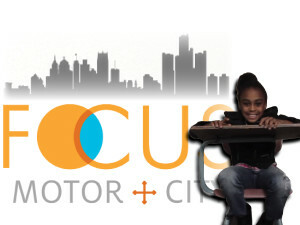 FOCUS Detroit wound up with $50,349, plus the $20,000 prize. 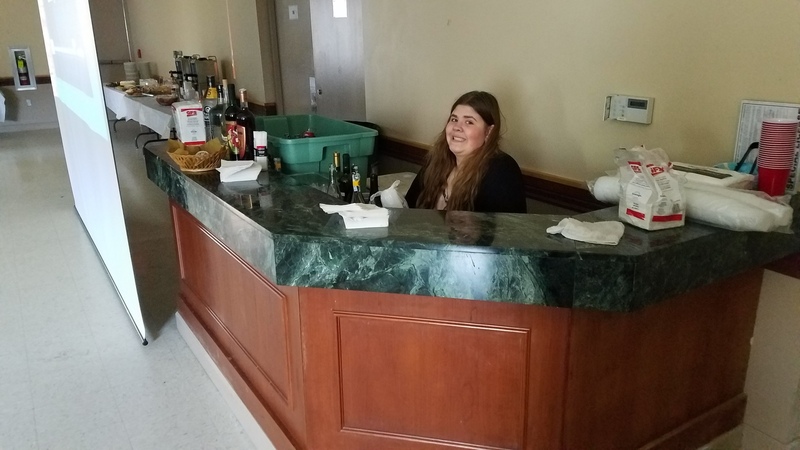 Though the organization receives some $400,000 per year in in-kind donations, its cash budget is only $100,000, so "this has a huge impact," Shanburn said. He launched the nonprofit in 2015 and has enlisted hundreds of volunteers, plus interns from the social work programs at the University of Michigan and Wayne State. Those are good things. But "I've been the only staff," he said. "That's a problem." Also a problem: he's been renting space from schools, and his second straight landlord is about to close. "Now maybe we'll think about buying," he said. The contest began four weeks ago with online voting that chose five finalists from among 16 charities. The finalists had two weeks to rally support from its regular donors and others. Brilliant Detroit, the early leader, wound up with $49,885, followed by Detroit Dog Rescue, Mercy Education Project and Southwest Solutions. They totaled $133,130 in donations — almost triple the $45,000 raised when Holiday Cheer for Charity debuted last year. 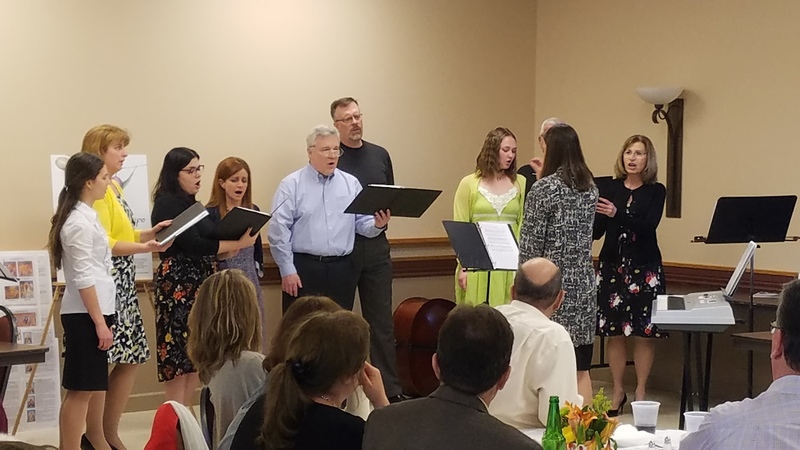 “The News is pleased to provide Cheer for Charity as an avenue for these great organizations to raise over $130,000, especially at such a critical time of year,” said Detroit News publisher and editor Jon Wolman. “These five groups represent many hundreds of organizations which serve our communities and depend on public support. “The News salutes the generosity of our readers and is proud to provide FOCUS Detroit an additional $20,000 to support its important work." Though it missed out on the $20,000, Brilliant Detroit counted the two weeks as a success, said CEO Cindy Eggleton, and not just because of the money it took in. 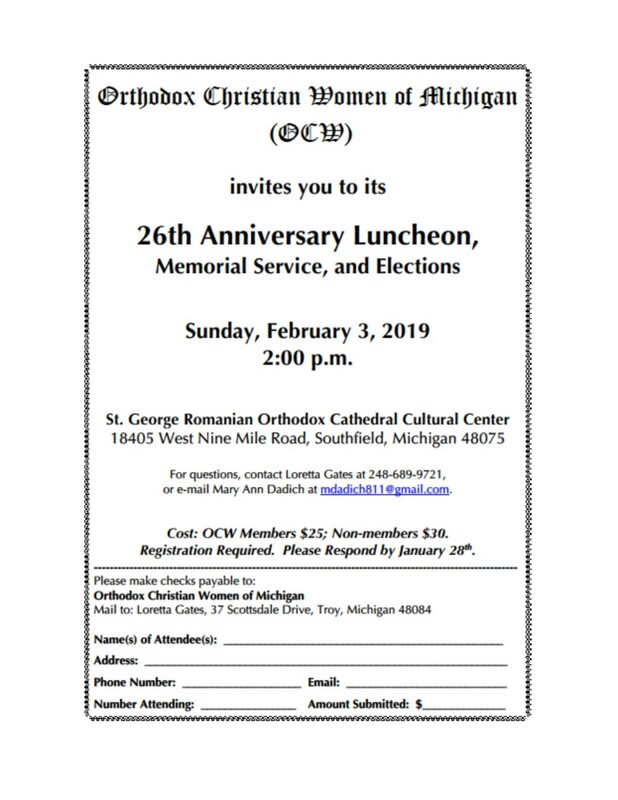 Here is the newly published Updated Schedule of the 2019 Speaker Series for the Orthodox Christian Women of Michigan. They are very important for the fabulous work that our women do for us, and Mary Stanesa worked very hard to organize and present it. Please watch for this and make a very true effort to attend, We will be from our mission. . 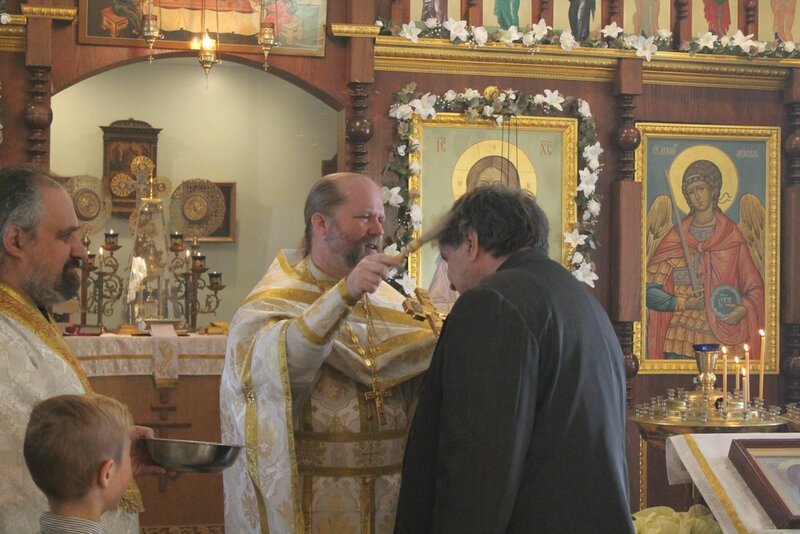 I served as a member of the Council of Orthodox Christian Churches 20 years as representative for my parish. Through the years I volunteered on various committees. I also served five years as Council president. 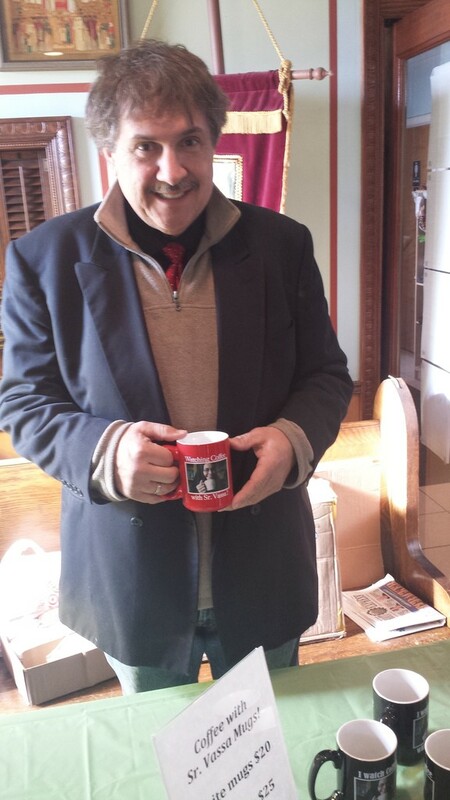 As president, I began the radio program “Detroit’s Own Orthodox Radio” (DOOR) now in our 4th year. In order to obtain funding I was advised to incorporate the ODF as a 501 c 3 non-profit to raise funds to meet our on going expenses incurred by our weekly program. Corporate foundations will not grant funds to religious church organizations (COCC); but will to 501 c 3 non-profits. It is necessary that we pursue outside and local support as well; grant providers need to see we have community support, they will not agree being our only source of income. 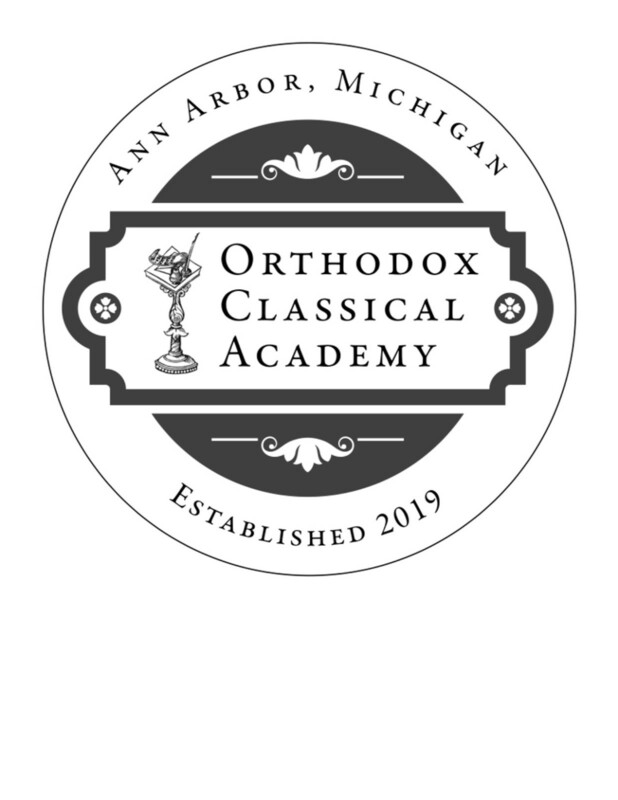 Outreach Detroit Foundation (ODF) was founded to finance Detroit’s Own Orthodox Radio (DOOR) program and to help other Christian Orthodox charities dedicated to serving the poor in metropolitan Detroit. 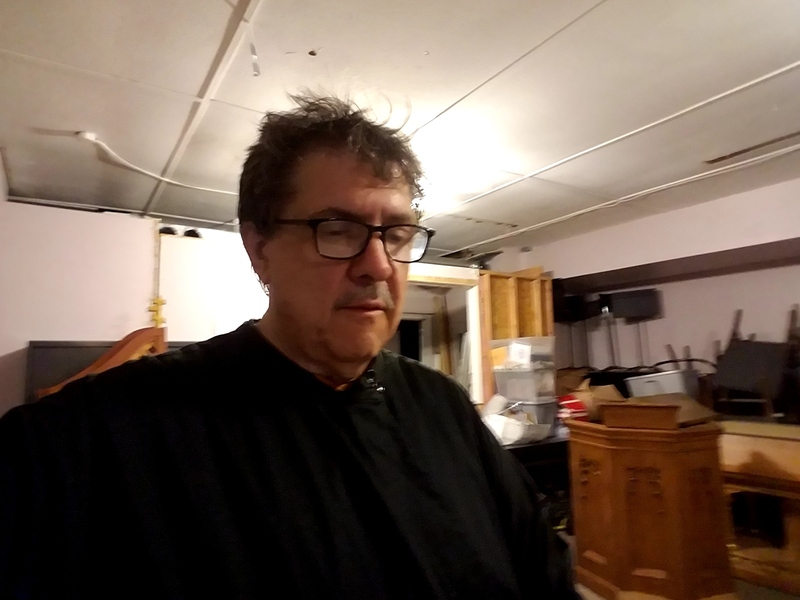 DOOR broadcasts on WNZK 690 AM in Southfield, Michigan on Sundays from 4 to 5 pm and through podcasts on DOOR's website at https://www.doorradio.org. 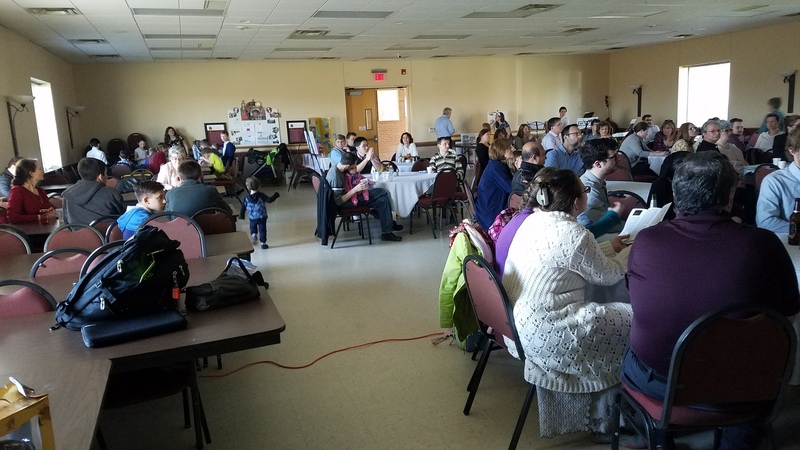 ODF is dedicated to raising funds for DOOR through foundation grants and contributions from Orthodox churches and businesses in the metropolitan area. All programming is also streamed live online. Simply click on the LISTEN LIVE link to start listening to WNZK live. (You must have Winamp or a similar media player installed in order to listen. We also have a vehicle donation program. If you have a car, Rv, boat or motorcycle please consider donating them to ODF and receive an income tax credit. Please share this message with a friend or family member. 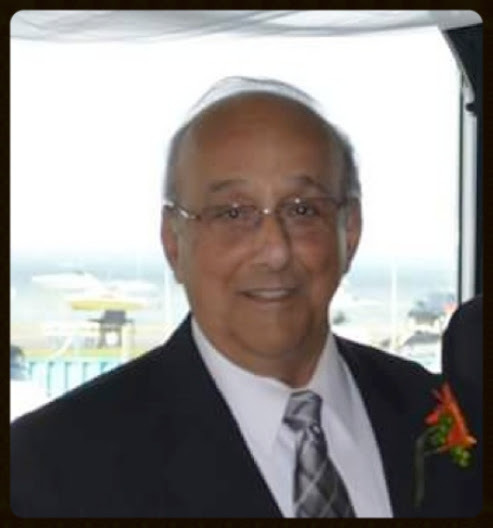 Please take a moment and support our dear friend, Richard Shebib, who diligently in the Orthodox community for so many years. He is a totally great guy and we are lucky to have him advocating for us. Thank you so much Richard!! Sub-Deacon Jerome Fisher has been a family friend for many years and we have always tried to support each other. He has taken on this ministry with a whole heart and unconditional love and we need to see how we can help him in this wonderful ministry. Please reach out to him when you can, and make a difference!
" For I was hungry and you gave me food, I was thirsty and you gave me drink..."
Provide the homeless and displaced of downtown Detroit with food and clothing to fulfill their basic needs. We deliver this assistance directly to the homeless including military veterans living on the streets and work to provide a way to transition to independence. According to the U.S. Census Bureau, 39.3% of the population in Detroit, Michigan lives below poverty level. Detroit has more children living in extreme poverty than any of the other 50 largest cities in the United States. According to the U.S. Census Bureau, 10% of Oakland County and 12% of Macomb County residents lived below the poverty level in 2013. These are areas we will target in addition to Detroit and Wayne County. Thank you Heartland Markets! Your generosity helped make lunches possible. Prepared lunch to serve the homeless in Detroit.. These lunches represent your donation dollars at work. It would be most difficult to do without your generosity. 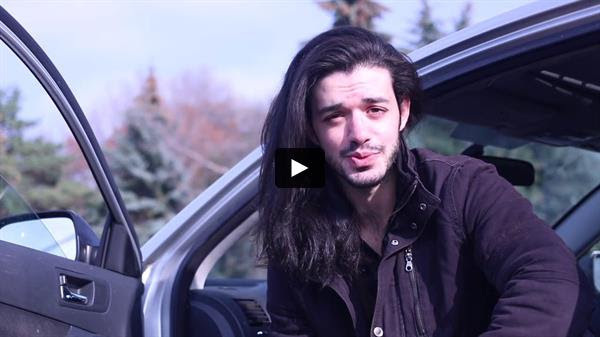 Give yourself about 10 minutes each week and watch this YouTube Video. 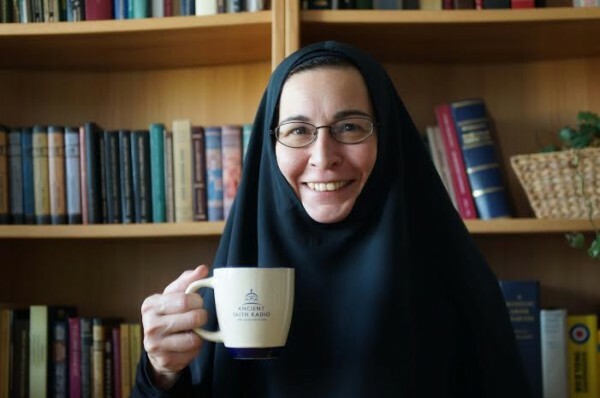 It is Sister Vassa as she takes an informal look at Orthodox topics each week and in a very comfortable and humorous way, describes and teaches. We have subscribed to this and shall keep up to date, but we are also inviting you to do the same. A must see - Click on the link above! Captions available in RUSSIAN, GREEK, SERBIAN, ROMANIAN, BULGARIAN, HUNGARIAN, ENGLISH. Also available in iTunes for iPhone and iPad! Theology with a bit of humor. A brief, weekly program discussing the Church calendar and liturgy. Hosted by Dr. Sr. Vassa Larin of the University of Vienna in Austria. ORTHODOX CHRISTIAN NETWORK IS A NON-PROFIT ORTHODOX ORGANIZATION THAT WAS COMMISSIONED TO COMFORT, INSPIRE, AND INFORM ORTHODOX CHRISTIANS AND SEEKERS AROUND THE WORLD USING MEDIA MINISTRY. To strengthen Orthodox Christian communities and to share the timeless faith of Orthodoxy with the contemporary world through modern media: radio, the Internet, podcasts, DVDs, television and more. and concerns of our Orthodox Faith. Just LIKE their page and tune in. or just plan to be there at 8:00 p.m. Monday! Ancient Faith Radio is a pan-Orthodox Internet based radio station on the air 24 hours a day. Choose a listen button from the top right of our page to tune in. 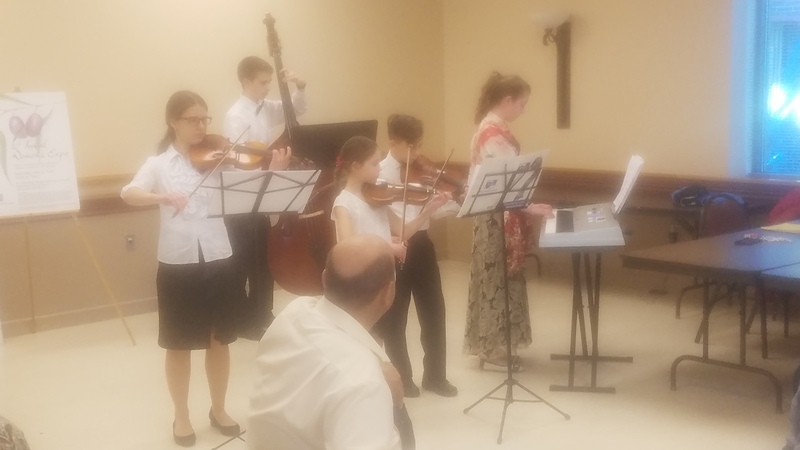 We provide a steady stream of the rich, traditional music of the Orthodox faith as well as several daily and weekly programs and free downloadable Podcasts as part of our unique service. We encourage you to listen daily to this free, listener supported ministry and subscribe to our growing list of Podcasts! It is a joy to introduce our second streaming station at Ancient Faith Radio called Ancient Faith Talk. Our survey results this past fall revealed a common thread of thought from our listeners? Please give us a second station to house all of the wonderful podcasts and keep your first station primarily music.? So starting Saturday, January 19, you will have Ancient Faith Music, Ancient Faith Talk & Ancient Faith Podcasts (for download). Ancient Faith Music will then be preserved to showcase the wonderful music of the Church interspersed with short inspirational quotes from the Fathers, the Psalms and liturgical verses. The stable of podcasts for free download at your convenience also continues to grow. Our 18 unique features will be joined by at least a half dozen more in the next couple of months. Be looking for new and regular podcasts from people like Father Thomas Hopko, Father Michael Oleska, Father John Hainsworth, Father Hans Jacobse and more. Volunteers have served in places like Colorado, Kentucky, Louisiana, Minnesota, New Jersey, Oklahoma, and the Gulf Coast, putting their faith into action in a rewarding way. International Orthodox Christian Charities © 2018 All rights reserved. Led by Vitaliy Bezrodnov, the group was initially formed under his direction in Kaluga, Russia in the late 1980’s. After completing their Conservatory studies, they regrouped in 1996 in the United States. Initially touring the Western states and the Hawaiian Islands, the group met with great acclaim due to their considerable talents and natural exuberance. Their venues have been as varied as First Night New Year’s Eve Celebrations to the Denver Center for the Performing Arts. They also initiated a charity program entitled Music in Mission and Rotary Children’s Fund which raises money for the orphans of Russia. Their concerts feature traditional and classical Russian songs and instrumentals, audience participation, dance and humor. "We found out that people associate this culture to our Holy Orthodoxy and we would like to bring awareness to our little mission group, who works hard to bring our very traditional faith in an English speaking based format, and want to attract our Lost Sheep, as well as others who may be looking for a deep, rich Christian Faith that can be tracked back to the original 12 Apostles," said Fr. Gregory Joyce. Below are a couple of links to watch videos of past performances of Golden Gates, as well as we encourage you to click on the link to visit their website. 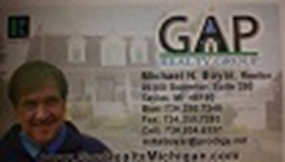 On a personal note, I would like to Introduce myself as a State of Michigan Realtor, who has been working for a very reputable Brokerage in the Dearborn/Downriver area. 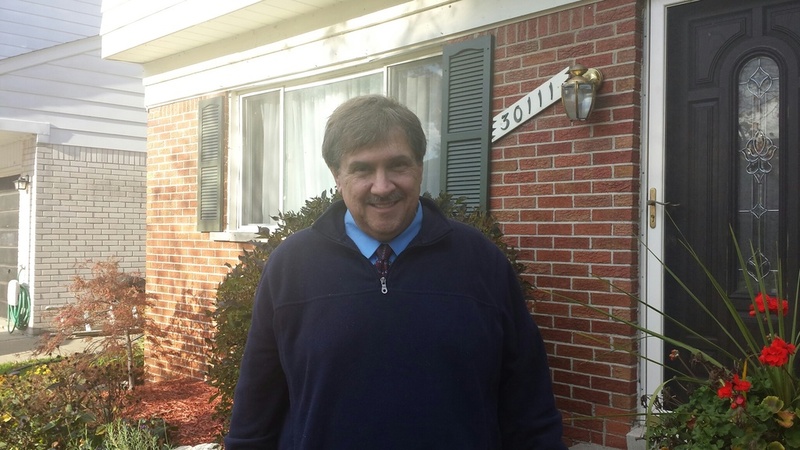 I have taken a lot of time and education to attain a tremendous amount of experience, and have successfully been helping many families for several years now throughout the Metro Detroit Area and around the entire state. I enjoy helping all people and have been told that I am good at what I do! If you are thinking about buying or selling, or maybe just want to get a "feel" for what is happening out in the Real Estate World right now, please give me a call anytime. I promise to work very hard for YOU!